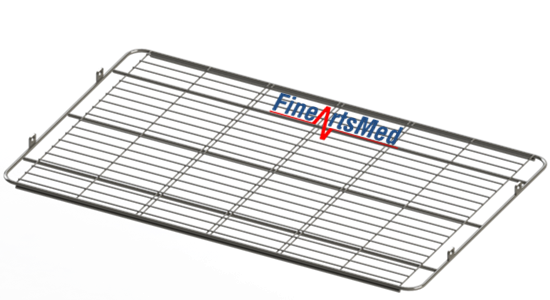 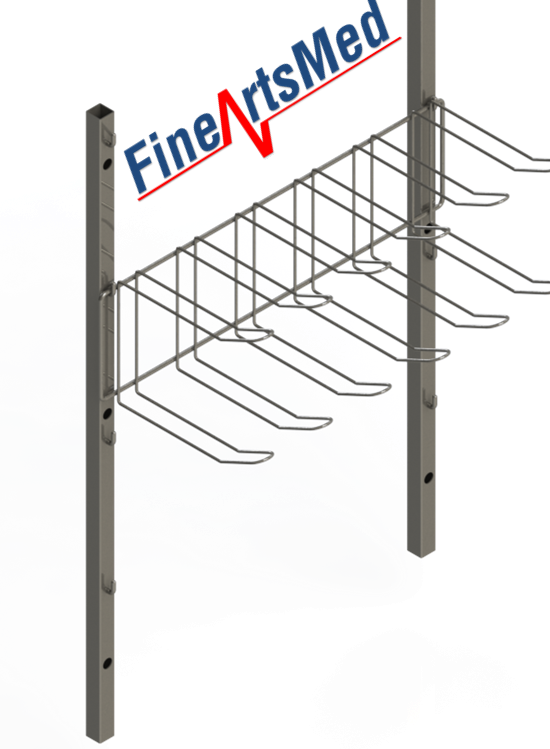 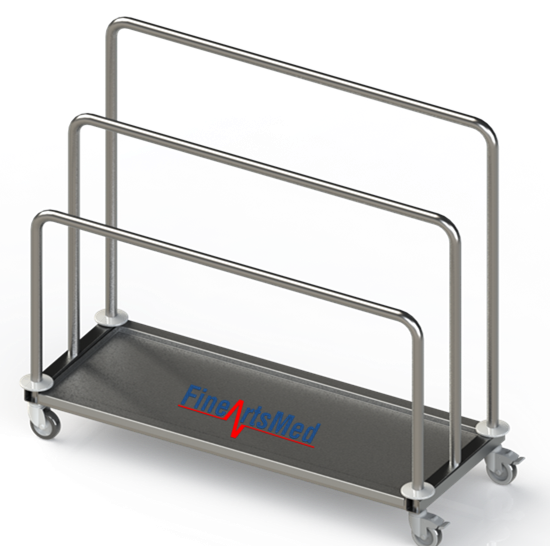 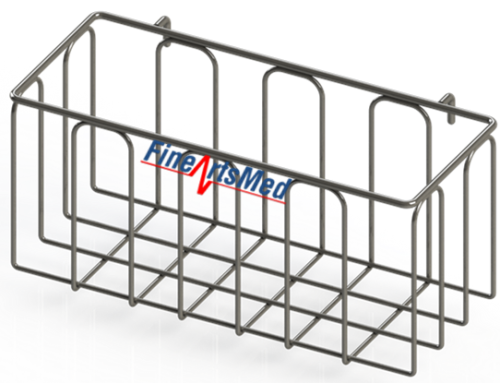 Single or double basket racks for FINEARTSMED’s SPRI/ ISO/ DIN standard modular wire baskets in sterile storage and/or for pre-storage of clean packed goods. 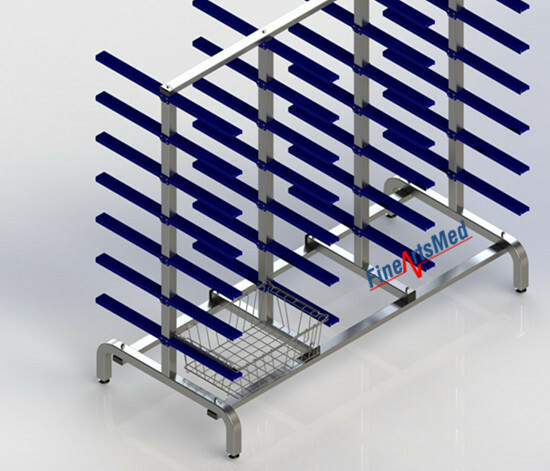 The rack is designed as an open unit to promote aeration of sterilized goods and to make inspection of stored goods as easy as possible. 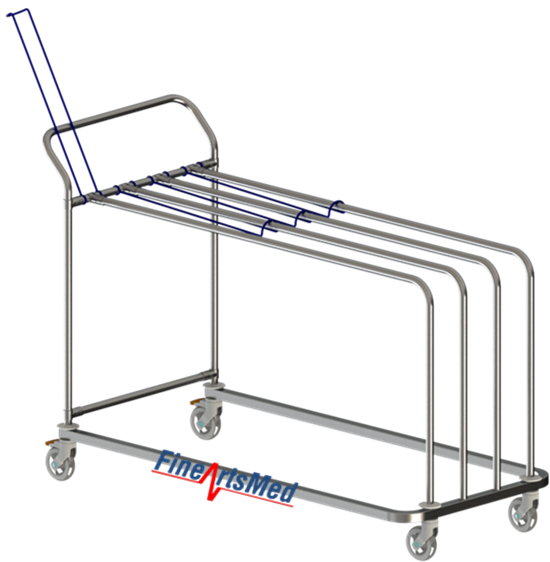 Baskets are loaded and unloaded by conveniently sliding them on rigid, horizontal, with coating of self-lubricated guide-rails, consisting of stainless rails. 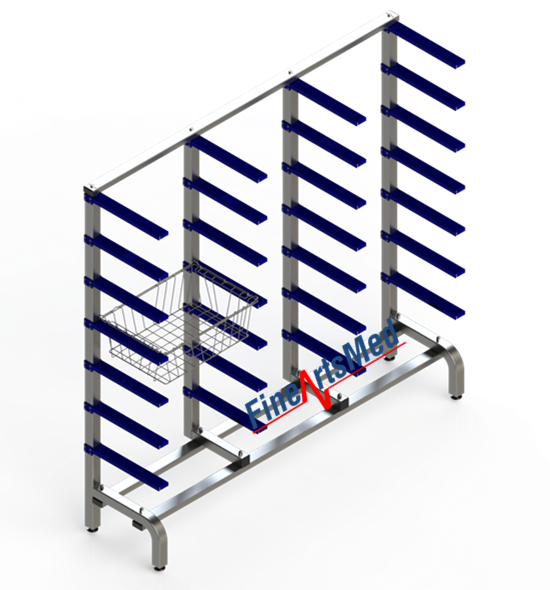 The single rack is a free-standing section that holds 7 baskets. 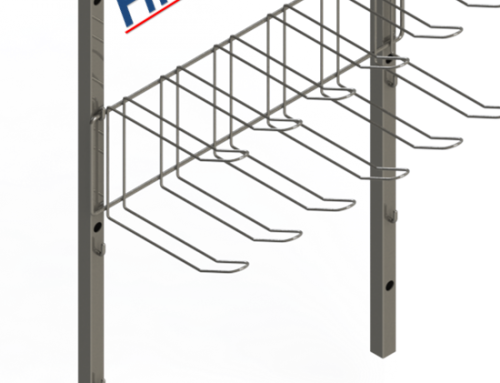 The double rack consists of two single sections back to back, i.e. 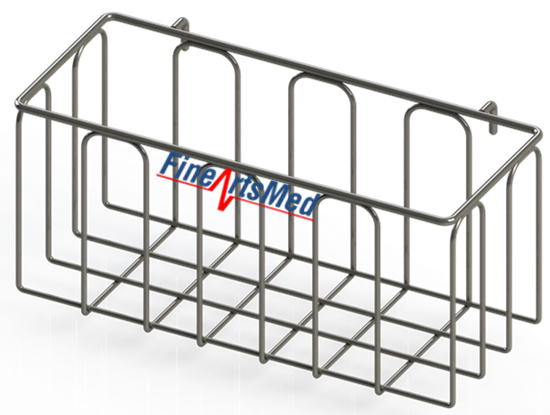 holding 14 baskets. 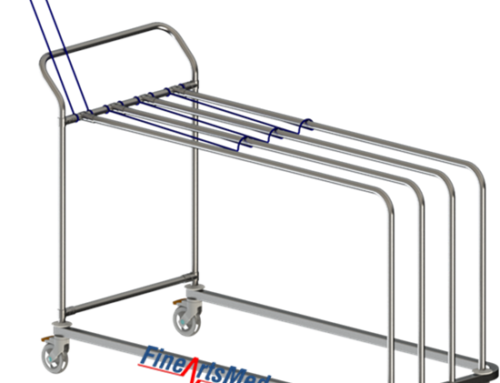 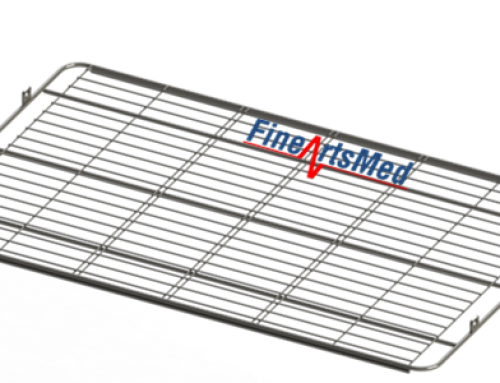 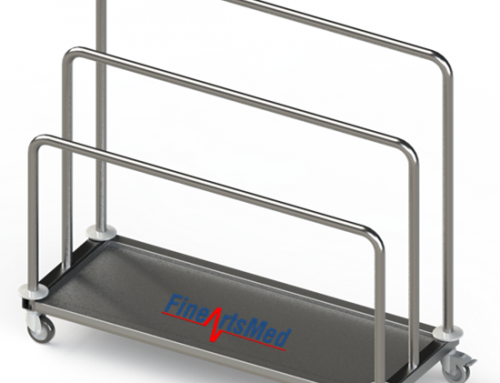 For the detail of each standard basket rack/ relevant sterile wire baskets, kindly browse them by clicking below index.